Welcome to the 418th Inspire Me Tuesday. Tons of fabulous links last week, it was really hard to choose just a few. Enjoy. If you are looking for a thrifty way to add some really large art to your room and you are not an artist, then just follow this tutorial from Lantern Lane Designs. I love this. 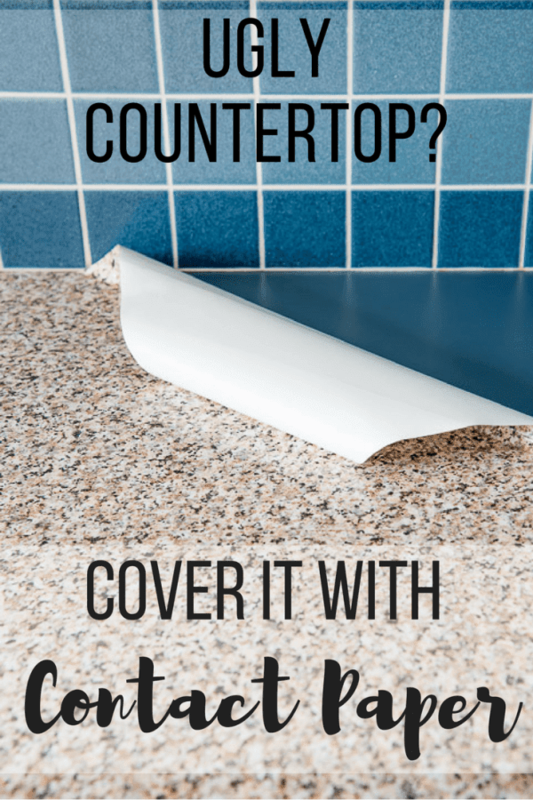 If you have a counter top that is really bad and you want to change it but the budget just isn't ready for that kind of hit, then just look at this fabulous tutorial from The Handyman's Daughter. Contact paper to the rescue. It's time for all of us to get our gardens in shape. 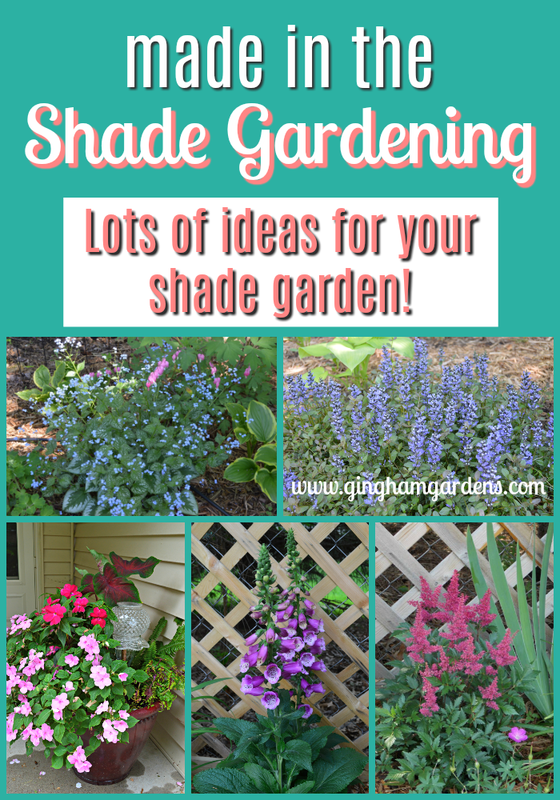 Gingham Gardens has some fantastic ideas for your shade garden. Marty, you're always so good at finding frugal ways to make a house a home- great features. Thank you for curating and hosting Inspire Me Tuesday. Hi there, Marty - thanks a bunch for the feature this week! Also thanks for all your hard work hosting "Inspire Me Tuesday" each week. Hi Marty! Wow! 418 Inspire Me Tuesday blog parties! Do you think it is about the longest running blog party in the home decorating, DIY genre? You are so faithful to keep it going. thanks! Thank you Marty for your 418th Inspire Me Tuesday. Always a pleasure to visit and join in. I have never thought about a shade garden. It might be interesting. I hope you had a wonderful holiday with family and friends. Today I brought my Strawberry Crepes with Peach Sauce, Tag Along Cheesecake and Sausage and Hash Brown Cheddar Casserole Enjoy your week! Great features, Marty! Thanks for hosting again! Hi, Marty! I hope your week is off to a great start. Thanks for the party! I was showing my husband your amazing backyard pool this morning before he left for work. Finger's crossed it planted a little seed in his mind. I can't believe this was my first time seeing it. Pinned to keep showing him lol. Thanks for the party and hope your week has been off to a great start! Great features and thanks for hosting Marty!...have a great week! Thanks for hosting an I hope that you have a wonderful week. Thanks for inviting us in each week! I always take out time to read your blogs. You always share informative and amazing posts. Now I could decor my home with dazzling ideas. But usually decorating and renovation process makes a lot of mess which is really essential to clean up. 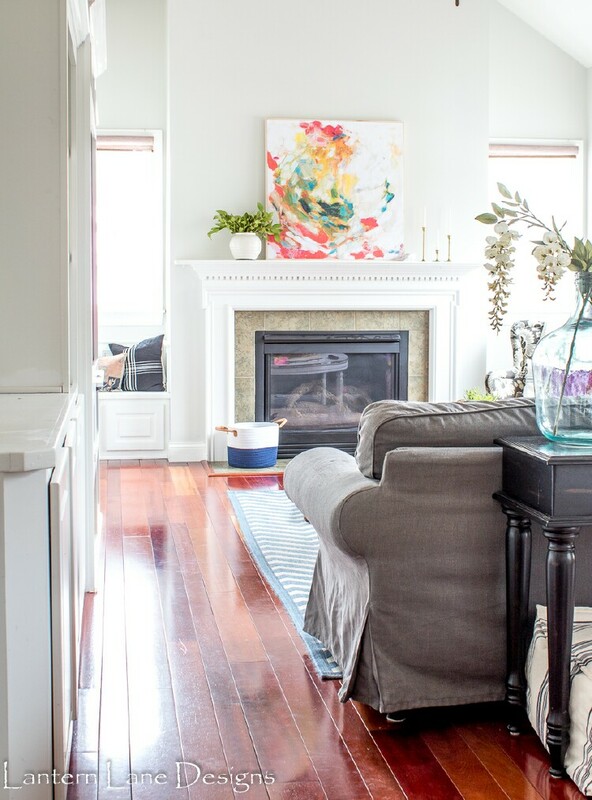 For this, I have taken the house cleaning company jersey city and their work is really neat and clean. I must say if anyone needs such home cleaning services, he must try them.